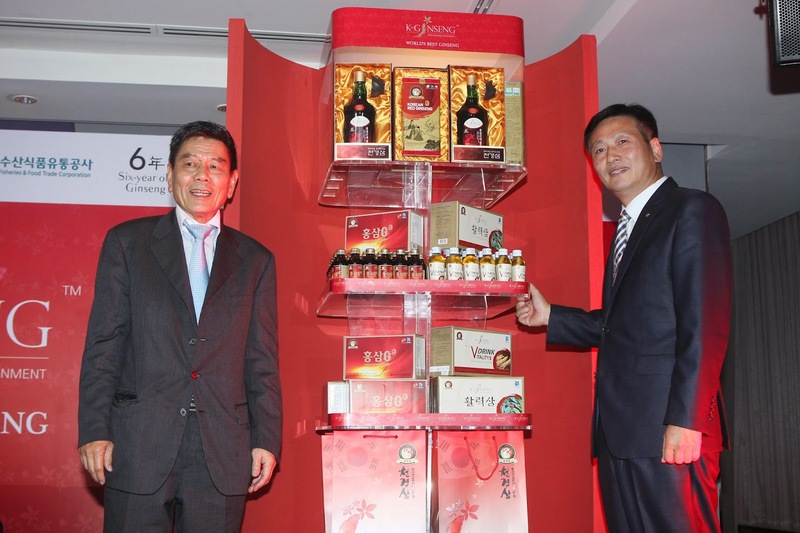 JQ Talks: K-Ginseng is available in Malaysia! K-Ginseng (Cheon Gyeong Sam) is finally here in Malaysia, distributed by Caldbeck Macgregor (M) Sdn Bhd's Health & Wellness Division. It's known as the 'World's Best Gyeonggi Korean Ginseng' and it's halal-certified by the Korea Muslim Federation Halal Committee. The products include red ginseng roots, white ginseng roots, red ginseng extract, red ginseng extract tonic, honey sliced ginseng, vitality drink and red ginseng G-drink. 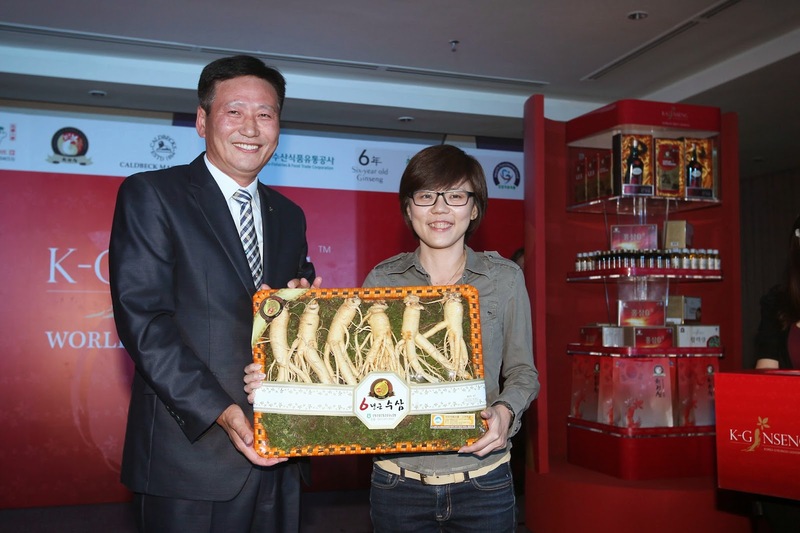 Lucky winner won a big set of Ginseng Roots! This doesn't taste too bad actually, quite drinkable. Though, it could be due to my familiarity to ginseng since I was young. My late grandma would let me chew thin ginseng slices and I had no problem eating them. This red ginseng G drink 100ml cost RM7.90 each. If you have the chance, you should also try the white ginseng vitality drink. It's much more sweeter due to the sugar syrup added into the bottle. For 120ml, it cost RM10.90 per bottle. 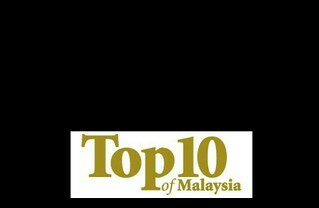 This is the Red Ginseng Extract Tonic 720ml (RM249). They were extremely generous and gave out one set to everyone in the hall. Personally, I felt that this helps me with my morning sinus problems by drinking one small cup (cup provided) the night before, it give a little more heat to my body in the morning so that the sinus won't react. I started off with every night, then slowed down to a few days once because I scared my body becomes to heaty in this Malaysian weather. It claims to also to help keep you more energetic and alert. If you're not a regular ginseng eater, it's a little harder to drink due to the bitterness. 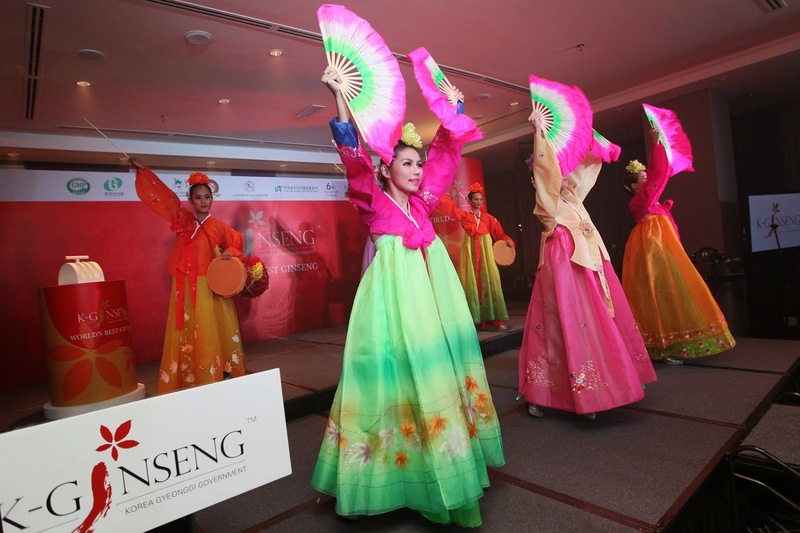 K-Ginseng products is available in all Chinese Medical Halls (Traditional Chinese Herb shops) and major supermarkets such as Aeon Jusco and Isetan. Enquires can be directed to Caldbeck Macgregor Sdn Bhd's general line 03-55692283 (Attn Health & Wellness Division) should there be any enquiries.